Green tea is made from the leaves of Camellia sinensis. During processing, the leaves are only allowed to undergo a little oxidation to preserve the phytochemical content of the final tea. Although it is native to Asia, green tea is now popular all over the world thanks to its many healthful benefits. There are preliminary evidences that green tea can reduce the risks of heart disease and certain cancers. It is also popular as a weight loss supplement. Green tea is rich in polyphenols especially catechins. These are potent antioxidant compounds and the most important of these compounds is EGCG or epigallocatechin gallate. Other constituents of green tea include tocopherol, carotenoids, ascorbic acid, zinc, selenium, chromium, and manganese. These phytochemicals and micronutrients are responsible for the preliminary positive results indicating the benefits of green tea not only in the prevention of cardiovascular diseases but also in the treatment of kidney stones and dental cavities as well as in the improvement of cognition and bone loss. One way in which green tea protects the heart is to reduce the level of LDL or “bad” cholesterol. It does this by inhibiting the absorption of cholesterol in the gut. Green tea can also increase fat oxidation especially if followed by a moderately intense exercise. With its ability to reduce blood pressure, weight and total cholesterol levels, green tea is a useful supplement to help prevent and treat major disorders such as obesity, diabetes and heart diseases. 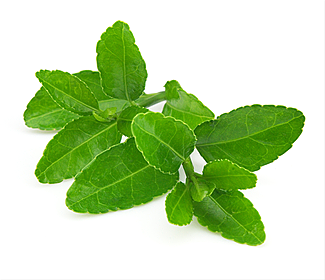 Its polyphenol content is also credited with improving cognition and enhancing memory. These polyphenols protect brain cells from harmful free radicals. By preventing neurodegeneration, they can prevent cognitive decline. Therefore, green tea is recommended for treating Parkinson’s and Alzheimer’s disease. Green tea pills are standardized around the polyphenol content of green tea especially EGCG. This means that users get more of the antioxidant from pills that the tea leaves if they took the same quantity. However, the composition of green tea pills vary. While some manufacturers prefer to exclude caffeine from these pills, others include it. It is worth noting that caffeine also provides some weight loss benefits. Besides caffeine, chromium picolinate is another ingredient that can be found in some green tea pills. The polyphenols in green tea are mostly antioxidants while caffeine is a stimulant that acts on the central nervous system. There are already studies to show that caffeine can increase metabolic rate. Such an increase is, however, only modest. Between caffeine and the polyphenols found in green tea, it is not quite clear the exact constituents of green tea responsible for the weight loss reported in different studies. However, caffeine surely contributes to the process. There are a few ways that green tea can promote weight loss. First, by reducing the absorption of cholesterol into the body, green tea reduces total cholesterol levels as well as the level of LDL (low-density lipoprotein) cholesterol. While cholesterol is only one type of fat that accumulates in the body, green tea also promotes lipid metabolism. When green tea extract increases the metabolic rate, it stimulates fat oxidation. Burning fat is an alternative source of energy to the body. Instead of increasing the conversion of glycogen to glucose, green tea extract breaks down the fat stored up in the body. This results in smaller waist circumference and weight loss. The caffeine in green tea is also known as a diuretic agent. This means it prevents the reabsorption of water from the kidney tubules and, therefore, block the retention of water in the body. The diuretic effect of caffeine is in action when urine volume increases and green tea users have to frequently urinate. This diuretic effect can help shed water weight especially in people who also have edema. Water weight is not a significant form of weight gain. It is usually a presentation of an underlying disease and it can be addressed by other (edema) medications. Even then, the caffeine in green tea can help shed a little weight by eliminating excess water from the body. The caffeine in green tea can also suppress appetite. However, the benefit of this effect is contestable since, by burning up energy, green tea can also increase appetite. Overall, the thermogenic effect of green tea is its most significant contribution to weight loss. It is estimated that green tea can boost the metabolic rate by 4%. This can be done without increasing the heart rate. The boost in metabolic rate is even higher if the consumption of green tea is followed by exercise. A 2005 study published in the British Journal of Nutrition investigated the benefits of green tea on resting energy expenditure in overweight females. This study involved 46 overweight women who were first fed normal meals for the first 3 days of the study then switched to low-energy diet for the rest of the 87-day study. While being fed the weight loss diet, each of the women was given either a placebo or a green tea extract (containing 1125 mg catechins and 225 mg caffeine per day). Factors evaluated during and after the study in these overweight women include weight, fat mass, waist-hip ratio, and BMI. The results showed that both the placebo group and green tea group experienced weight loss thanks to the low-energy diet. However, there was no significant difference between the weights of women in the placebo group and those in the green tea group. The researchers concluded that green tea supplementation provides no benefit for weight loss or fat burning. In a 2004 study published in the same journal by some of the same researchers, the effect of green tea on weight maintenance following weight loss was investigated. For this study, the researchers recruited 104 overweight and moderately obese men and women who had experienced 5 – 10% loss in weight. The study began by placing the volunteers on a very low-energy diet for 4 weeks after which they were given placebo or green tea extracts for another 13 weeks. The green tea extract contained 104 mg/day of caffeine and 573 mg/day of catechins of which the EGCG content was 323 mg/day. The results showed that while all the subjects experienced weight loss when placed on the very low-energy diet, there was no significant difference between the placebo and green tea groups in weight regained during the following 13 weeks. In fact, those subjects who consumed more caffeine actually experienced higher weight gain. The researchers, therefore, concluded that green tea provides no benefit for maintenance (or improvement) of weight after losing some weight. While these 2 studies represent the body of research that finds no evidence for the benefits of green tea in achieving weight loss, there are lots of other studies that demonstrate clear weight loss benefits with green tea extracts. This goes to show that there is no consensus and no compelling conclusion to back or refute the weight loss claims of green tea. However, one study did explain the thermogenic effect of epigallocatechin gallate (EGCG). This is important because even though caffeine is a known thermogenic agent, decaffeinated green tea extract has been found, in numerous studies, to also promote weight loss by fat oxidation. In the study published in 2006 in the Journal of Medical Food, the researchers demonstrated that EGCG induces thermogenesis by inhibiting the enzyme, catechol-O-methyltransferase. This enzyme is responsible for breaking down norepinephrine. By blocking this enzyme, EGCG can increase and sustain the sympathetic stimulation that promotes thermogenesis. Norepinephrine and its metabolite epinephrine are excitatory neurotransmitters. They promote energy expenditure by increase mental focus and muscular activity. All of these means that by allowing norepinephrine to act longer, EGCG allows the body to burn more energy through the oxidation of fat. This can easily lead to weight loss. However, the extent of this effect still needs to be determined. So, are green tea pills any good at promoting weight loss? The answer is not clear. At best, the answer is a tentative yes. There may be some conflicting results in the studies done on the subject but those may be due to design errors in the methodologies of those studies. However, some facts are uncontestable. First, green tea does increase metabolic rate (by as much as 4%). Secondly, green tea reduces cholesterol levels, increases fat oxidation, improves insulin sensitivity and glucose tolerance. Lastly, green tea does contain caffeine which is known to contribute modestly to weight loss. Therefore, you should take green tea pills for weight loss. It may not produce significant weight loss but by improving your lipid profile and cardiovascular factors, it can help alleviate some of the problems of obesity. If you do take green tea pills, you should make sure to pick the right ones. Remember that the polyphenol content (and especially EGCG) is the main ingredient to look out for. If you tolerate caffeine well, then choose the ones that also contain caffeine. 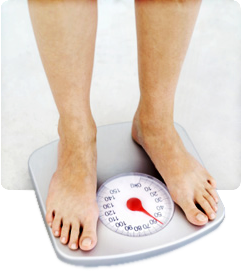 There is no doubt that regular exercise and low-energy diets are the right combinations for weight loss. Therefore, use green tea pills as supplements. They do work better with exercise and the right diet.